What can you do when you can no longer recall the company email you just sent to your boss, with your son’s name signed instead of yours? And what can you do when you’ve totally lost track of time at work and forgot to take your daughter to the dance recital she has been looking forward to for a year? The answer is brutally but truly ‘nothing.’ At work when I’m swamped with emails and conference calls, I feel like I’m failing my cause of working hard to be a good father. On the weekend at 7am my mind tells me I should be happy when my kids are trying to help me wake up by scrubbing my face with Clorox wipes. But despite that pungent smell, my body cannot lift itself up. Although it may sound extreme, this is the daily life of an average white-collar dad or mom trying to sustain a work-life balance. But throughout the years, I’ve started wondering, ‘what is work-life balance anyway?’ Let’s be real. You cannot be fully charged at work and then be fully charged at home all the time. Not even my amazing LG phone can stay fully charged all day long. Instead of living my life with constant guilt that I am no good for either work or home, I decided to reinvent my yoga tree pose. Rather than trying to balance the leg that will no longer go up to my knee, I just embrace the beer-belly body the company has granted me and do the tree pose lying down. In other words, at work, make sure you keep telling your nearby coworkers a few months ahead of time that your daughter’s dance recital is coming up. Trust me. They’re much more reliable than your Google calendar that always gives you the notification when you have your phone in silent mode. At home, I started a thing called ‘adult talk time’ with my kids. My girl Lois being 6 and my boy Daniel being 3 both love hearing about what stresses me at work. They think it’s hilarious! I tell them about how my conference call went. How the person on the other end would not stop talking to the point where I had time to run to the bathroom and come back without them even noticing. I tell them about how there is a data I need to finish creating by this week but how I don’t like crunching numbers so much. Lois will sometimes give me very important recommendations such as ‘practice makes perfect, dad. Keep on it.’ She is totally right. As our well-acclaimed British friends say, ‘keep calm and carry on.’ That is what I consider to be a work-life balance. Don’t feel guilty because you’re not perfect at work and you’ve delayed responding to an email an extra 14 hours. Even if it weren’t your kids, something else would have distracted you anyway. Don’t be guilty because you’ve missed some of your kid’s sports games. I am blessed to have a wife who thinks our 3-year-old’s soccer game is worth seeing over a final Cubs game. I love my family and my job as they’ve allowed me to find my own way to happiness. May 16 was a beautiful day at the ballpark for our first Commercial Display Roadshow of the season. With perfect weather, we treated hundreds of guests to a major-league experience at Nationals Park in Washington DC with exciting new LG products, breakout sessions, VIP ballpark activities and great giveaways. Plus an enlightening and informative keynote presentation. We took over the stadium’s Norfolk Southern Club on the 3rd Base Side with an exhibit of LG commercial display innovations. Guests got hands-on with the game-changing new LG OLED Wallpaper and LG OLED Wallpaper In-Glass, new Transparent LED, new 88-inch Ultra Stretch Display with Touch Overlay, razor-thin LG OLED Hospitality TVs and much, much more. Our certified technology partners conducted breakout sessions, discussing their numerous digital signage solutions and benefits. A big shout-out to Omnivex, BrightSign, CHIEF, Allure, Peerless-AV, Ping HD and TSI Touch for helping us knock this event out of the park. Have a look at their websites today and see all they can offer your business. Gary Kayye, founder of rAVe Publications and one of the most prominent personalities in the A/V industry, delivered an outstanding keynote presentation titled 4K IS LITERALLY 2020: The Perfect Storm of Resolution and Colorimetry. Garry detailed how to get maximum benefits from a 4K system, and for the attendees his keynote was approved for 1.5 InfoComm CTS RU credits (CTS Domain A). Small-group VIP tours of Nationals Park were happening, and attendees were given the opportunity of a lifetime—professional batting cage practice. What’s more, every hour we gave away signed baseballs and game tickets. And since no trip to the ballpark is complete without ballpark food, we provided a tasty lunch of fan favorites. 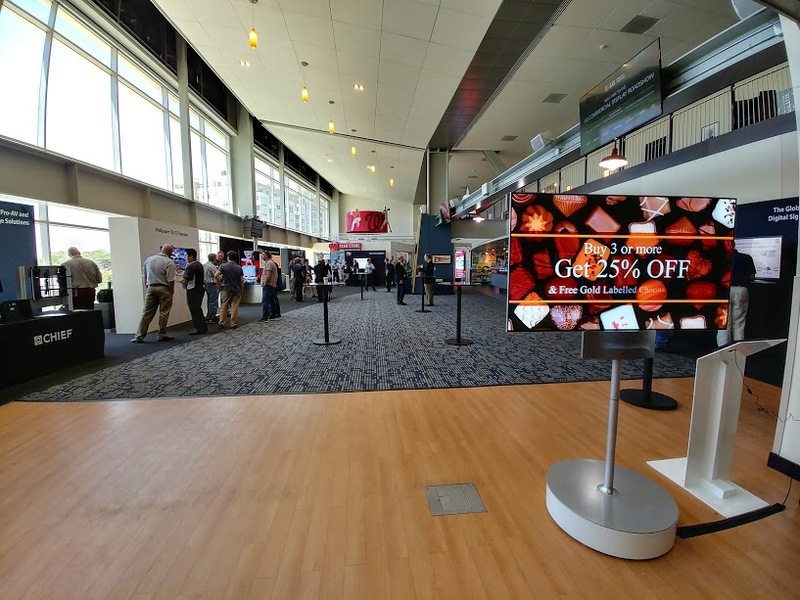 The LG Commercial Display Roadshow in Nationals Park was a day to remember, and lots of photos were being shared across social media. Everyone had a blast. So, was it the awe of LG OLED or the thrill of swinging for the fences that prompted one attendee to say that we made him feel like a kid again? We’d say it was both. Funny how that works. Our next Roadshow will be in Seattle on July 19. If you’re anywhere nearby, please save the date. We promise it will be amazing. In the meantime, have a look at our #LGOnTheRoad Twitter feed from the show #LGOnTheRoad Twitter feed. You have likely heard a lot about transportation in the news recently, specifically within the airline industry: United’s forceful removal of a passenger, a scorpion stinging a passenger (again United) and a stroller-related incident on American Airlines. With all of these issues hitting both traditional and social media faster than a speeding bullet one has to wonder…what are the main drivers? Is it an issue of reduced customer service (staffing/training) at airlines? Is it smaller seats on every plane? Is it the lack of consideration for others when traveling? My guess is that it’s likely a combination of all the above. The one common thread within all of these instances – they were captured digitally, with personal cell phones. Digital engagements have become ubiquitous when traveling. Everyone has a digital device with them and digital advertisements are all around us. Digital wayfinding is growing in popularity, digital menu boards are part of the landscape at transportation hub food courts, and even some bathrooms are starting to get their own digital signage telling you if they are open or closed for cleaning. Just this week, the NYC Metropolitan Transportation Authority announced it will integrate informational digital signage on its On-the-Go interactive kiosks in the NYC subway, and JFK airport just unveiled a 30×10-foot LED video board to show flight arrival times, advertising and other information. One of the key ingredients for many of these digital experiences is the actual display – from the small 3-inch displays on your phone to the enormous video walls you can find in all of the transportation hubs around the country. As the transportation industry continues to recognize the importance and benefits of digital displays, so do the manufacturers of these displays. The needs of the transportation sector are often unique and manufacturers who are responsive to these needs will be able to offer the best customer experiences. 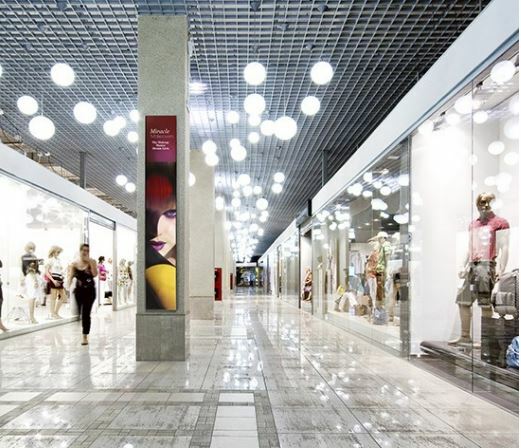 Some of these needs include: high brightness options for both indoor and outdoor usage, new display formats such as ultra-stretch models that can fit into unique areas, better protection for displays to allow longevity, and innovative display designs that can become iconic fixtures in a transportation hub. Absolutely mesmerizing examples of the latter can be seen in the Incheon International Airport in South Korea with the LG OLED hanging arch experience, and what you are seeing in the Orlando Airport with one of the longest video wall experiences being deployed in the check-in area. Clearly, digital is everywhere and ties into all aspects of the transportation sector. Hopefully, the success of digital displays will take a little pain out of the process of traveling.